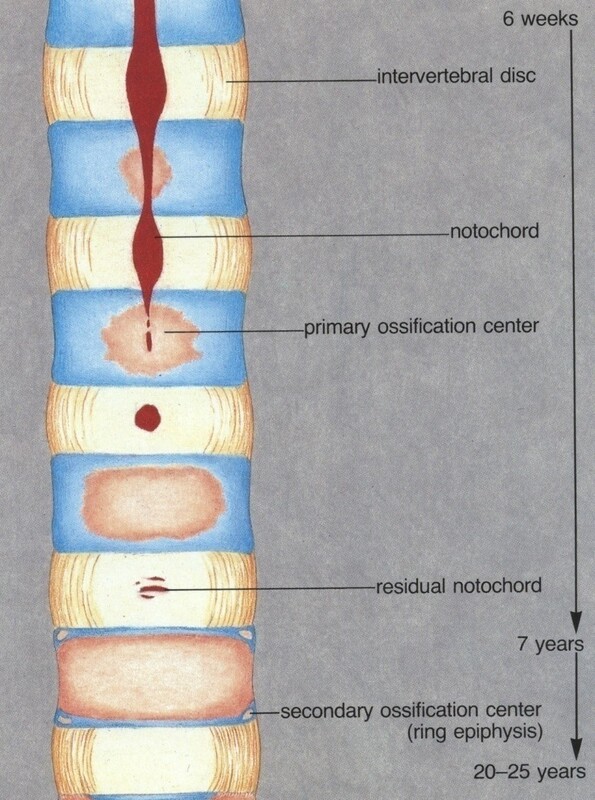 Progression of notochord as spinal column forms. Chordoma arises from the notochord. The notochord is fetal tissue similar to cartilage that forms the basis of the spinal cord. The notochord is eventually incorporated into the developed vertebral column as the centers of the vertebral discs. Some notochord cells remain behind. In rare occasions these cells become Chordoma.